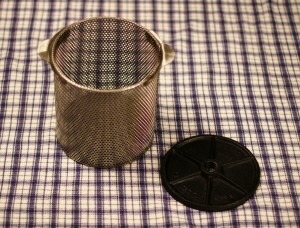 Both of the 4 QT and the 8 QT Chop Rite (formerly “Enterprise”) Sausage Presses come with the stainless steel strainer basket. 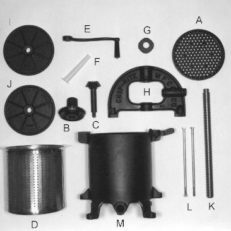 If you need to purchase an additional Chop Rite and Enterprise Strainer Basket, please select the correct model to ensure it is the proper fit. Please note that the plate that fits in the bottom of the basket is sold separately, and that is pictured in the basket from the photo. There is also a plunger plate pictured but not included in this purchase. 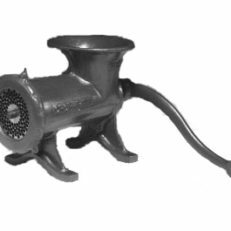 Check out the rest of Pantry Paratus to find Chop Rite and Enterprise parts.